I, and others of my generation, have the unique experience of remembering life (I use that term loosely) both before AND after the big boom of the internet. Like growing up, my best friends lived just a couple of doors down. I couldn’t imagine knowing, let alone being such good friends with someone I didn’t see every day- or at the very least go to school or church with. Now, I have friends all over the United States. All over the world even. Some of whom, I’ve never even met in person! Thanks to the internet, and social media, that bit doesn’t really seem to matter much. So not only has my friend circle expanded, but so has my pool of unique ideas and flavor profiles to pull from when it comes to testing recipes. I’ve got regional, and now even world wide. Luckily, my social media habit and obsession with groups specifically designed for sharing recipes has led to some delicious discoveries. 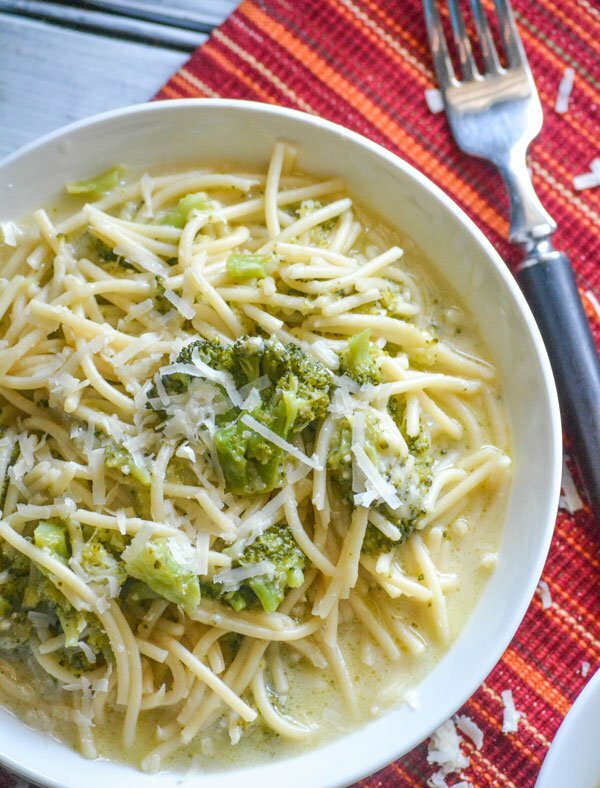 My favorite, bar none, is this recipe for Nonna’s Italian Spaghetti & Broccoli. It comes from my friend Elise, a beautiful soul with a wealth of knowledge to hand down and pass along in the kitchen straight from her own Italian kitchen. Thankfully, she’s not stingy with it, or with sharing the family recipe secrets, and now it’s my turn to have the privilege of sharing it with all of you! 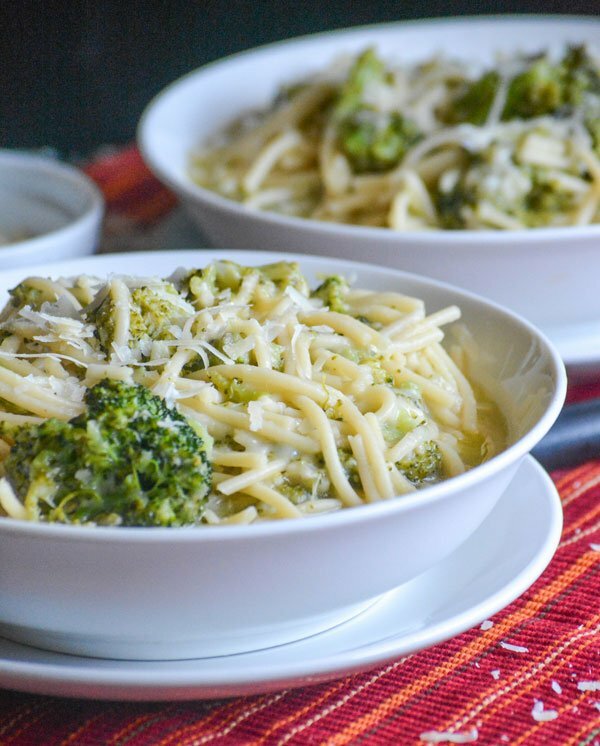 Nonna’s Italian Spaghetti & Broccoli is a magical dish that’s also surprisingly easy to pull together. 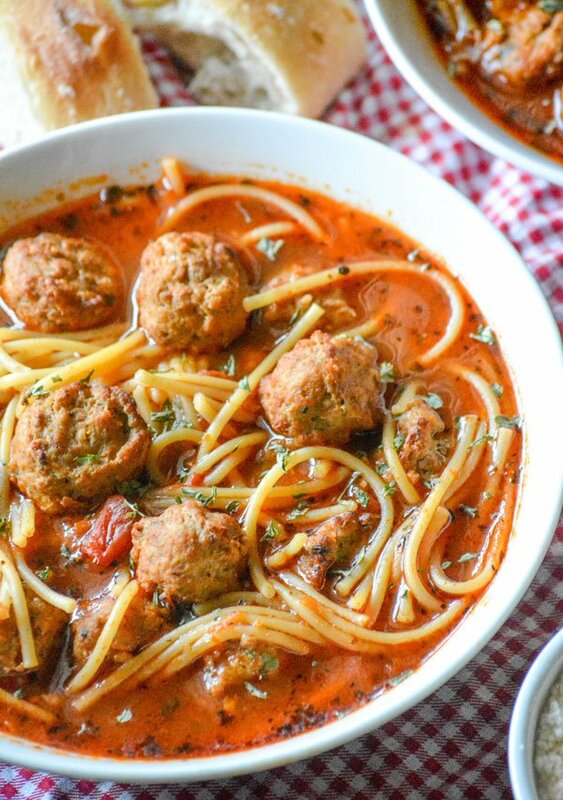 Somewhere between a soup with pasta, and an extra saucy pasta dish- it’s major flavor in every bite. 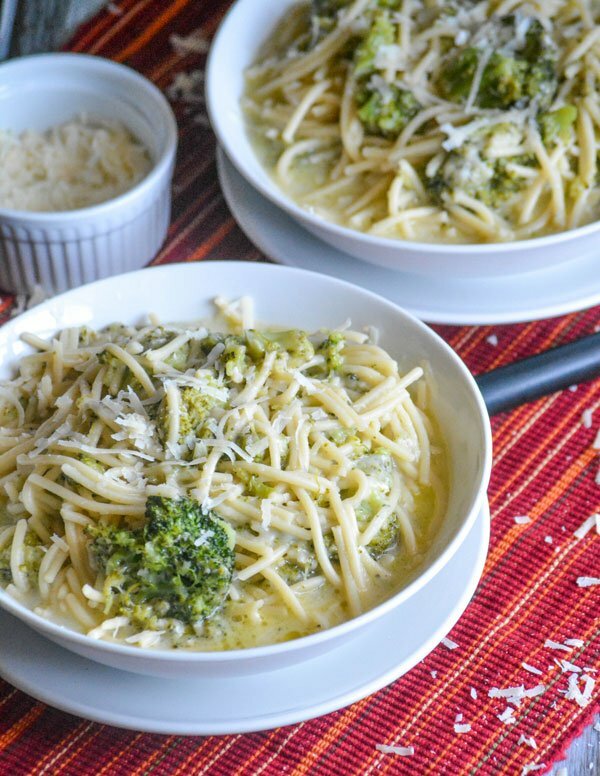 The pasta soaks up every ounce of deliciousness from the creamy cheese sauce and the fresh broccoli. Simple Italian American comfort food, this one dish pasta dinner is easy enough for a weeknight meal and indulgent enough to be considered a special treat any day. 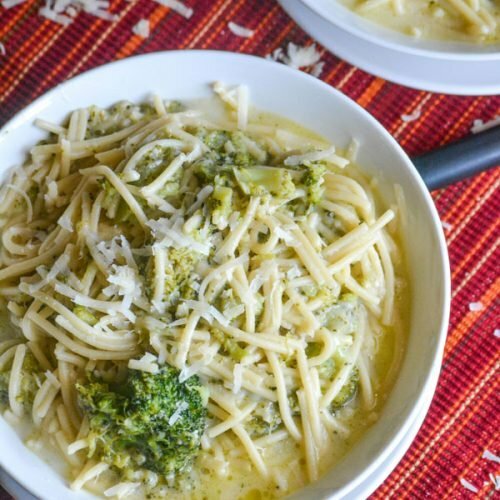 While the recipe as written is for a meatless, vegetarian version- when I need a more filling one dish dinner a few cups of chopped rotisserie chicken rounds Nonna’s Italian Spaghetti & Broccoli out quite nicely. 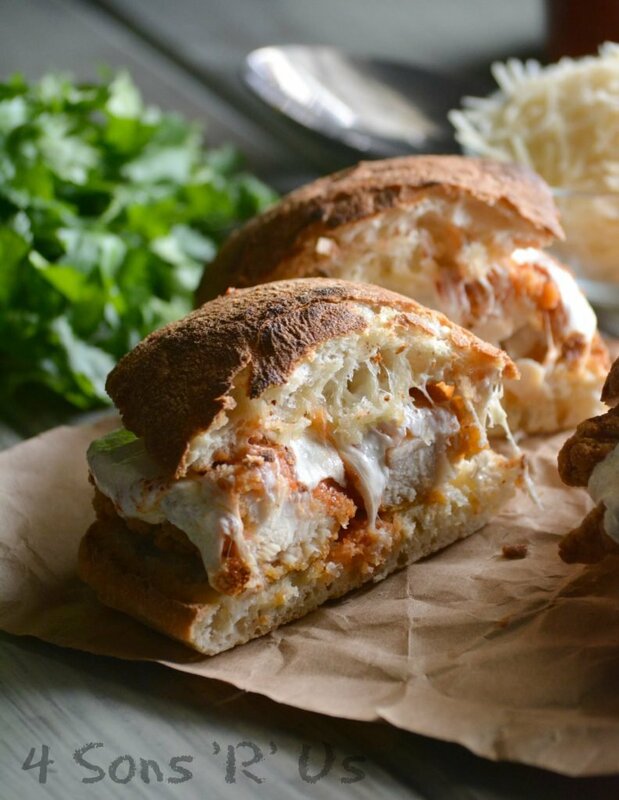 A one dish meatless meal that's creamy cheesy Italian American comfort food straight from Nonna's kitchen. Fill an 8-quart pot just under 3/4s full of water. Stir in the salt and bring to a rolling boil. Stir in the spaghetti,oil, garlic, pepper, and broccoli. Bring the mixture back to a boil and let boil for about 2-3 minutes. Cover the pot, turn off the heat and let the mixture sit for about an an hour and a half, stirring every 15 minutes, until the pasta is cooked through and has absorbed most of the liquid. At the 45 minute mark, stir in the romano cheese, until melted and evenly incorporated. As soon as the pasta's cooked, stir in the remaining cheeses until melted and serve. 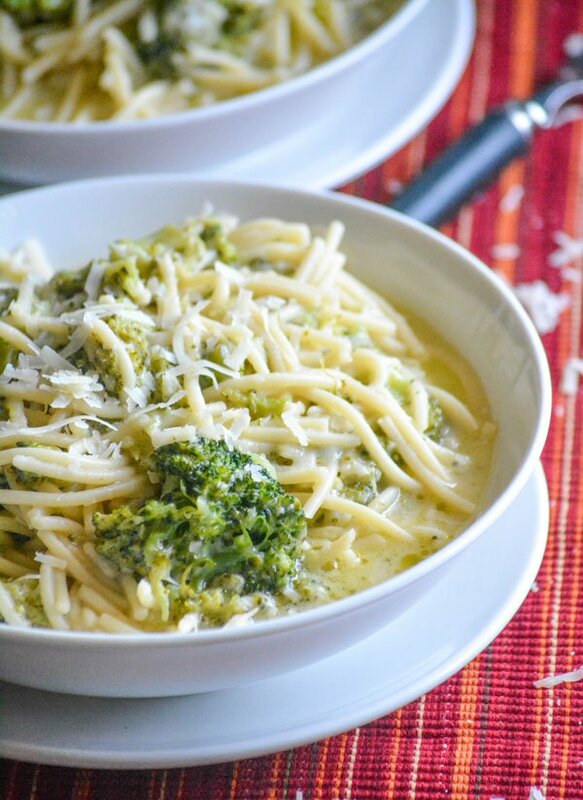 Top with additional grated Parmesan, if desired and enjoy with a piece of warm crusty bread. Just a reminder, this is more of a soup than a pasta dish! The pasta is not firm and al dente like a macaroni and broccoli served with less liquid. You can add more water if you prefer it more "soupy”, and you will have to add more when reheating any leftovers. 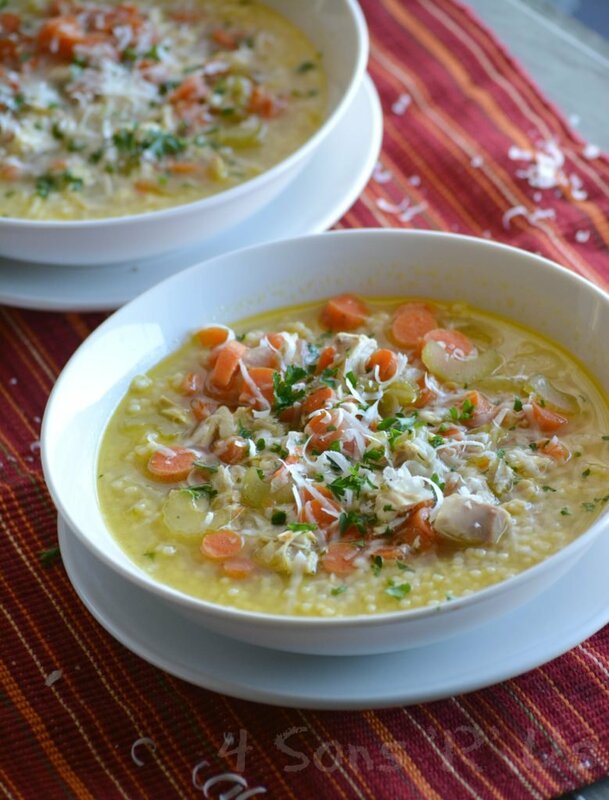 Meaghan, I am beyond touched that you honored my family’s recipe here on your blog. This was one of my father’s favorite dishes and my mother made it quite often. 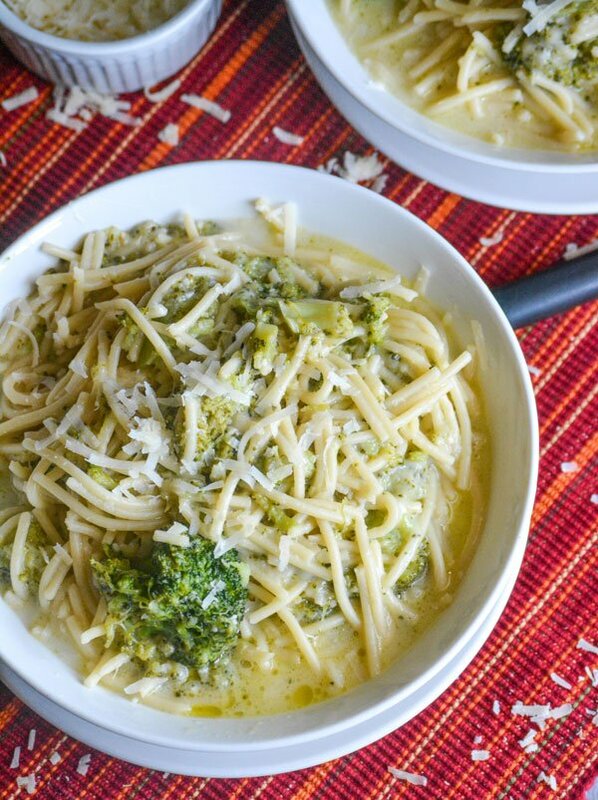 He liked it soupy and that’s how it evolved from a basic macaroni and broccoli to this recipe. I was so touched by your post, I actually started to cry. My mother was a firm believer in sharing recipes as am I, what is the point of not sharing a recipe??? No one has any original recipes unless you are Eve in the Garden of Eden. I am always happy to share all my recipes and I’m so honored that you chose one of mine to share on your blog. Thank you so much! That looks good, and the broth portion is especially enticing. Thanks for sharing with Fiesta Friday! Can’t wait to give this a try; it sounds so comforting! Thanks for sharing! Thanks, Angie. And it’s like the ultimate in easy comfort food! Thank you so much! 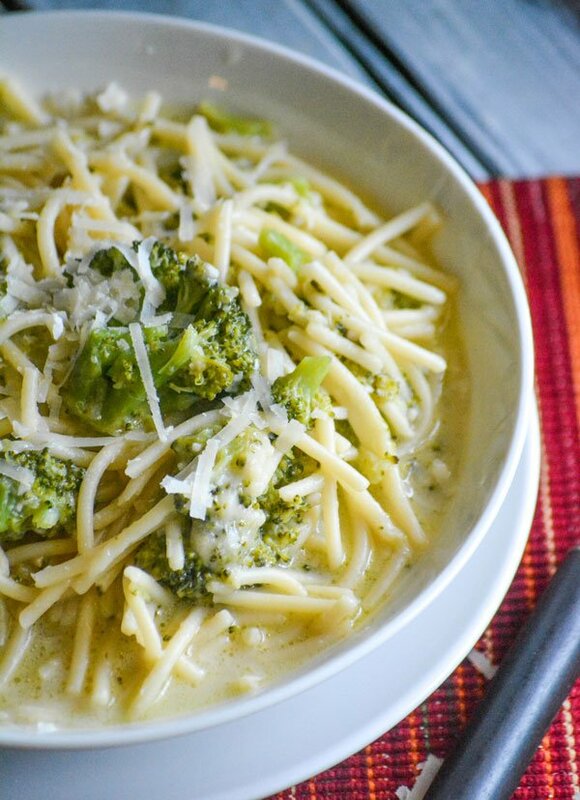 Finally macaroni and broccoli just like my Grandma used to make! I just finished eating it! Delicious! I have been trying for years to duplicate! I added breadcrumbs sautéed in butter on top that’s how Grandma served it! Thanks, Estelle. Elise shared this family recipe with ours and it seems to bring back so many endearing memories for so many Italian families. I love your bread crumb suggestion and will definitely be giving that try next time this is on our supper menu!